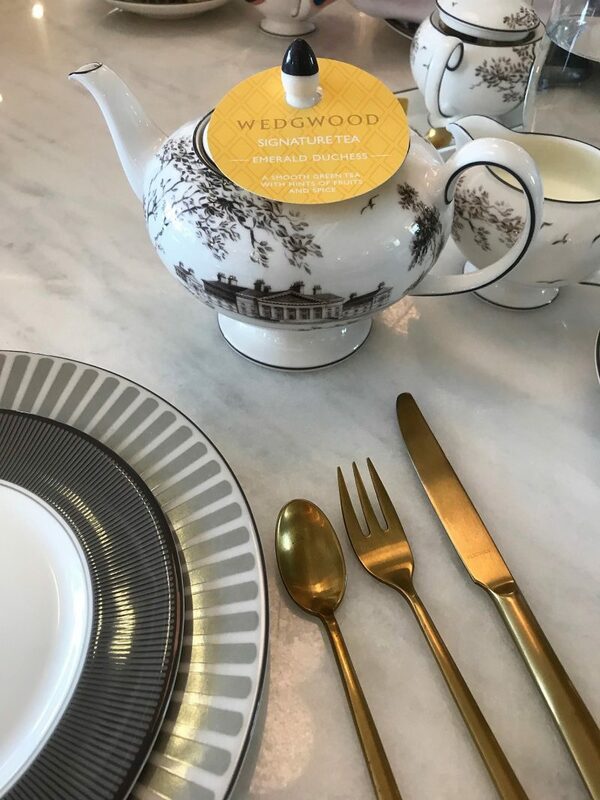 I’ve been super excited to put this blog post together for a while now, mainly because I had what I can only describe as THE BEST DAY when I recently visited World of Wedgwood in Staffordshire. For those who know me and follow me on Instagram, you’ll know my boyfriend in a Newcastle-under-Lyme resident, born and bred. So I spend the time I’m not in and around Manchester in good old Staffordshire. 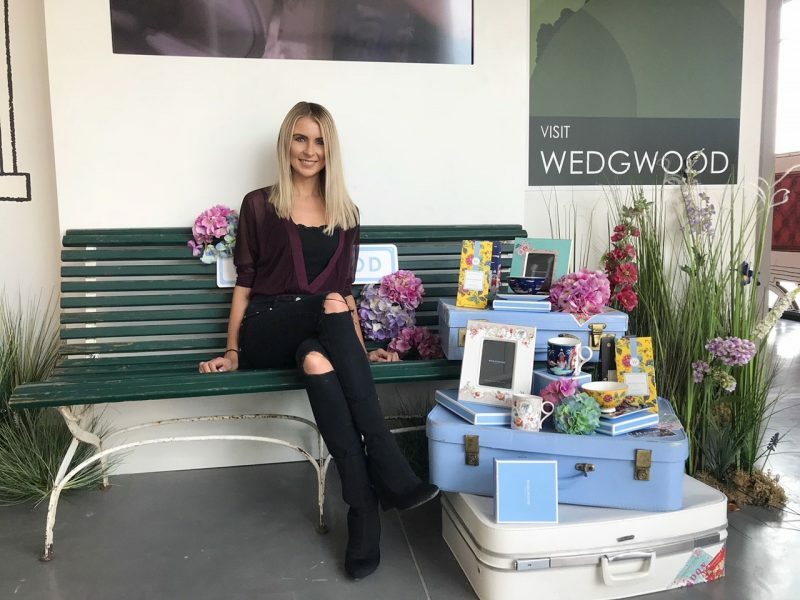 And Barlaston – home to World of Wedgwood – is a lovely little place we often visit. 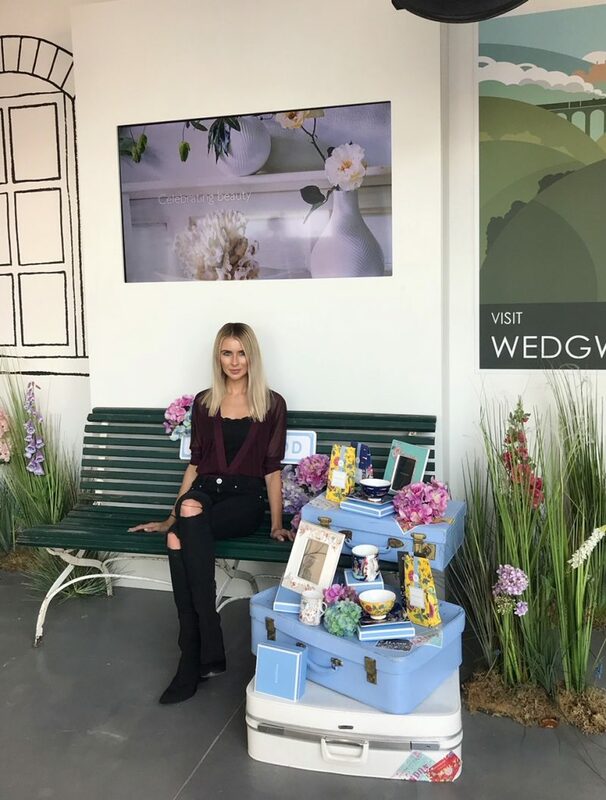 In a nutshell, you could spend a full day at World of Wedgwood, and you could go with your friends, your family, your partner or even walk around and take it the history and fine pottery on your own. 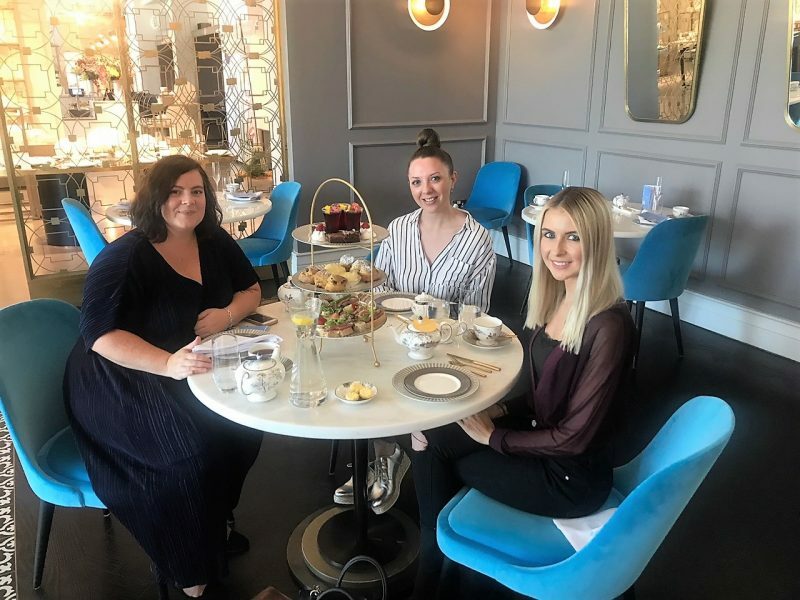 On my visit, I took two of my girlfriends with me, booking in to experience their Afternoon Tea, pottery session and factory tour. 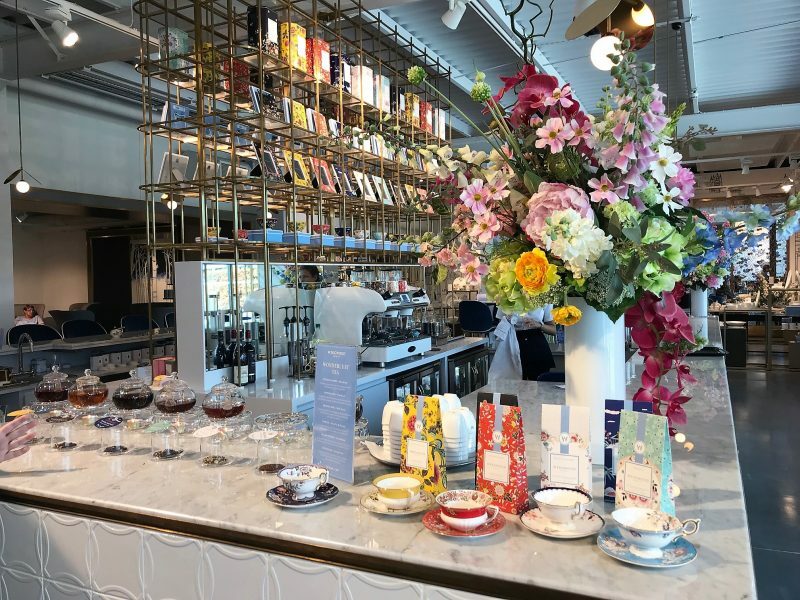 The World of Wedgwood is a truly unique and interactive visitor centre,celebrating the very best of British craftsmanship. 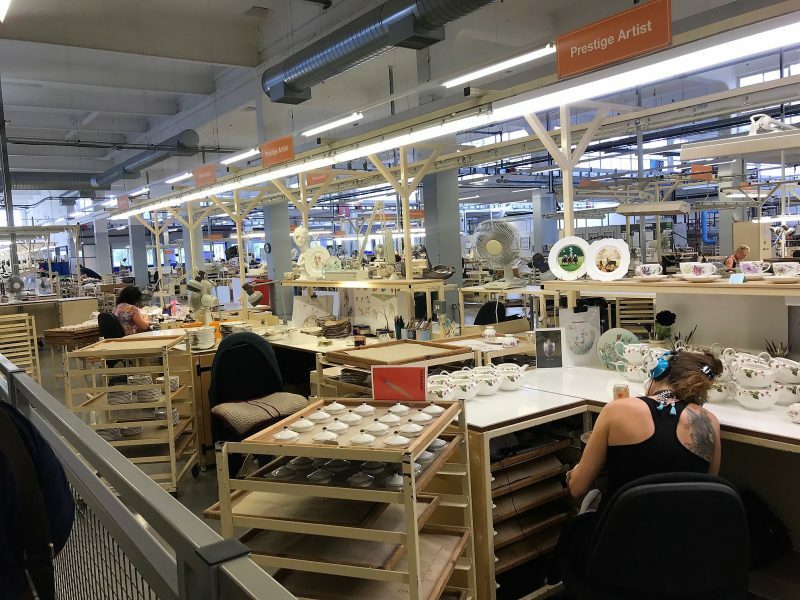 Wedgwood is known as one of the finest pottery brands around, so as well as taking a tour of the actual pottery ‘factories’ where you can see the workers in action, you can also shop the exquisite pottery from the store, and even the outlet. 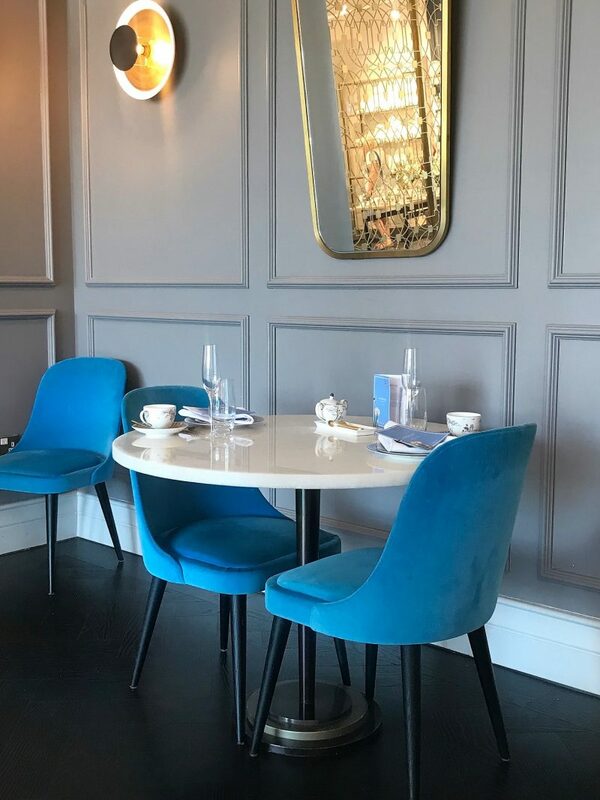 I set off for a day of indulgent afternoon tea, shopping, touring around the place and taking on a spot of pot throwing myself! 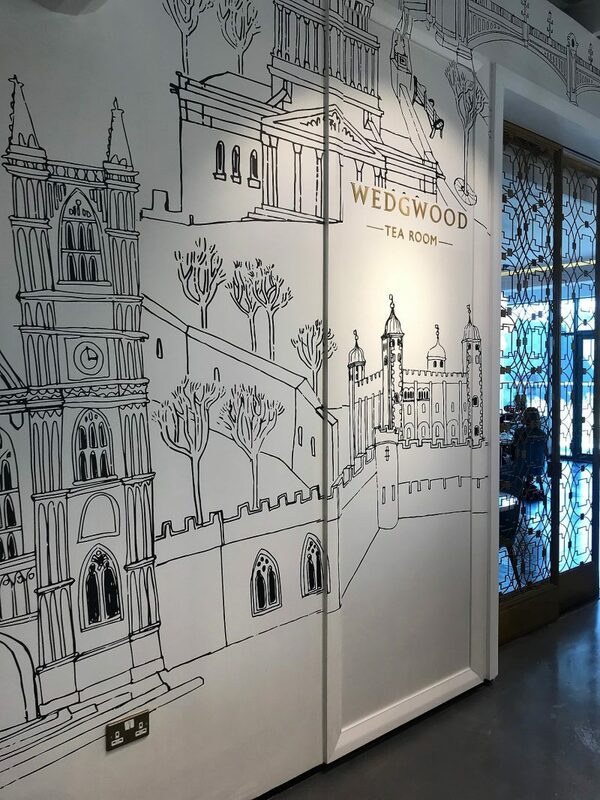 I’ll start by pointing out just how beautiful World of Wedgwood really is. From the moment you turn up to it’s lovely grounds and step inside the entrance, you’ll be wowed with how big, clean and bright the place is. 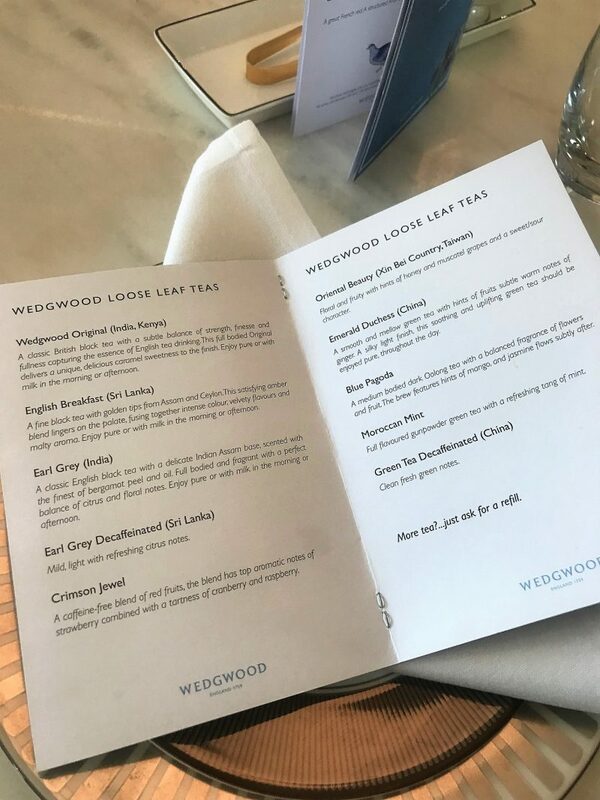 Before taking our seats for afternoon tea, we tried out a number of the unique loose leaf teas out on display in the restaurant. 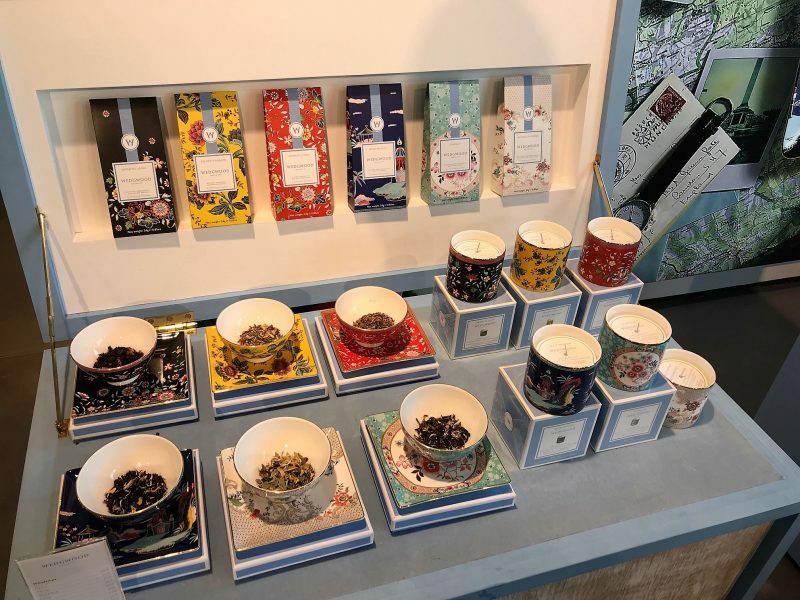 We taste tested ranges that were completely different to anything I had tasted before, right through to a more traditional tropical themed Green Tea. 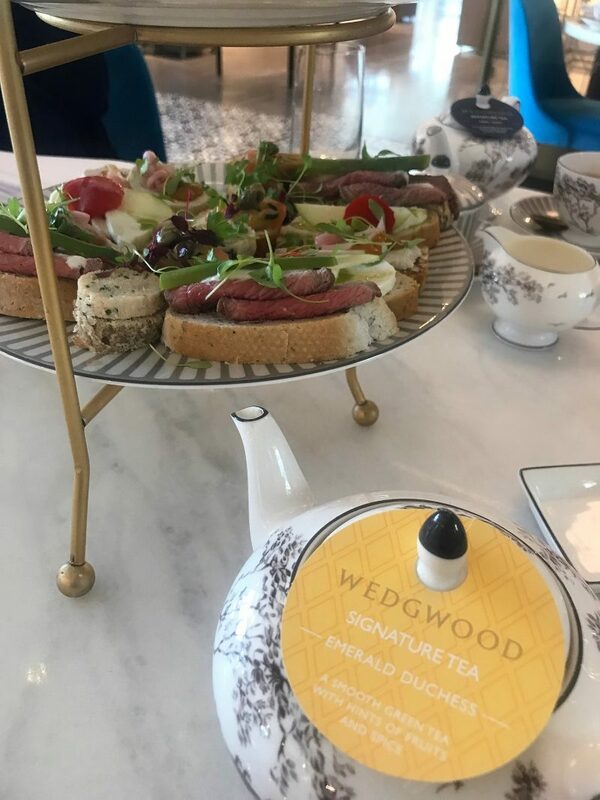 Then, after browsing the absolutely beautiful displays of your finest pottery and kitchen wear, we walked through the lovely Tea Conservatory and straight through to the Wedgwood Tea Room for dining. 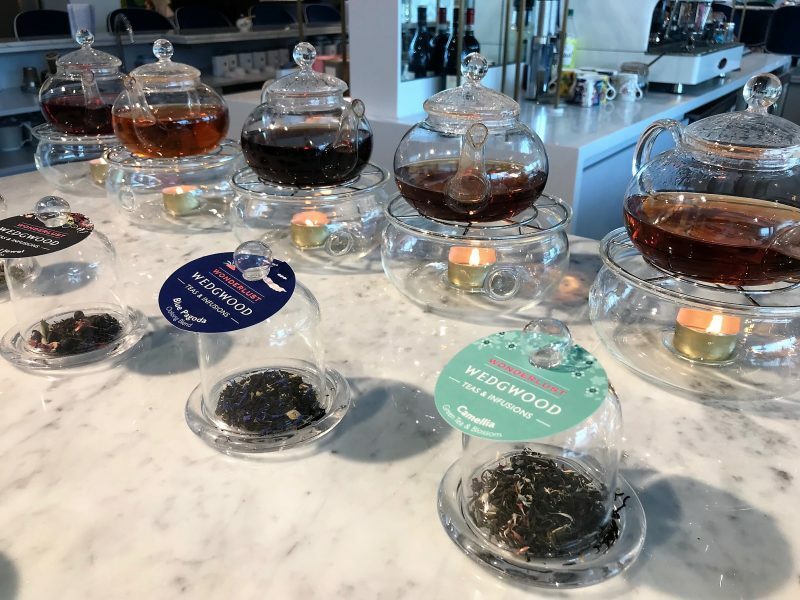 Then, it was all about reading up on all the teas to order to come with our sandwiches, cakes and scones! 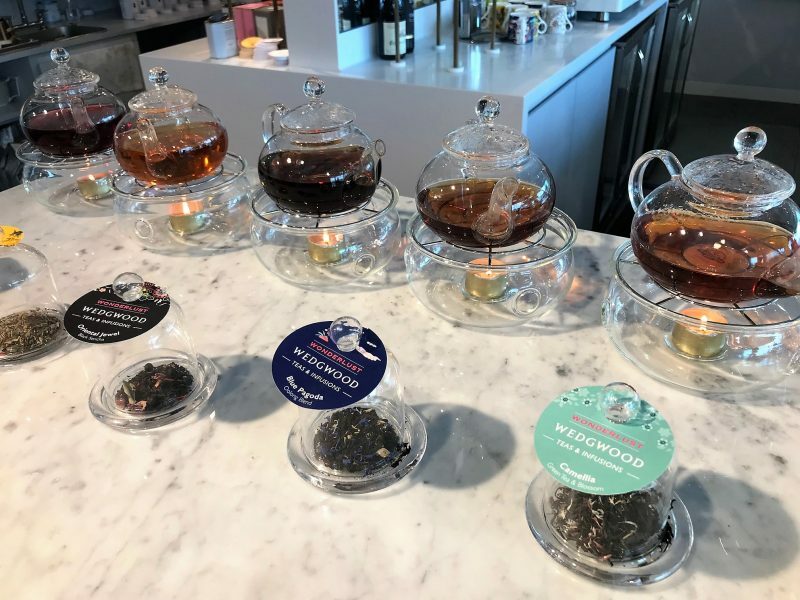 I went for the Emerald Duchess 0 a smooth green tea with notes of fruit and spice, giving it a slight tropical vibe. 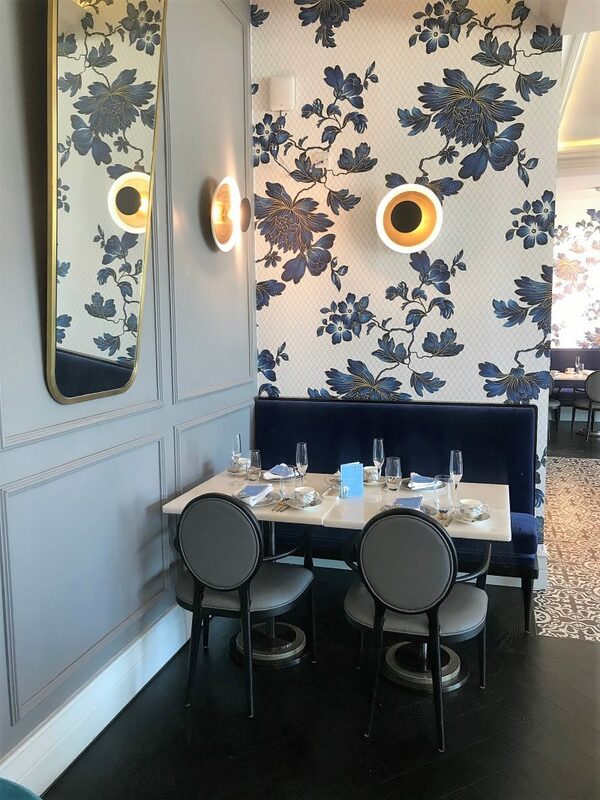 I have to say, the contemporary and indulgent interpretation of afternoon tea completely comes through with how pretty the Wedgwood Tea room looks. 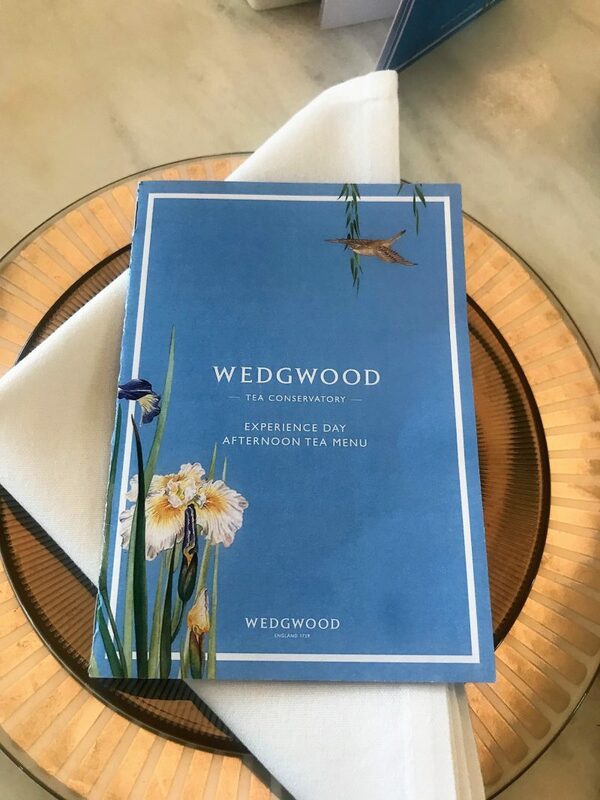 Even the menus which display a delicious selection of sweet and savoury dishes and Wedgwood’s finest teas were incredibly stunning. 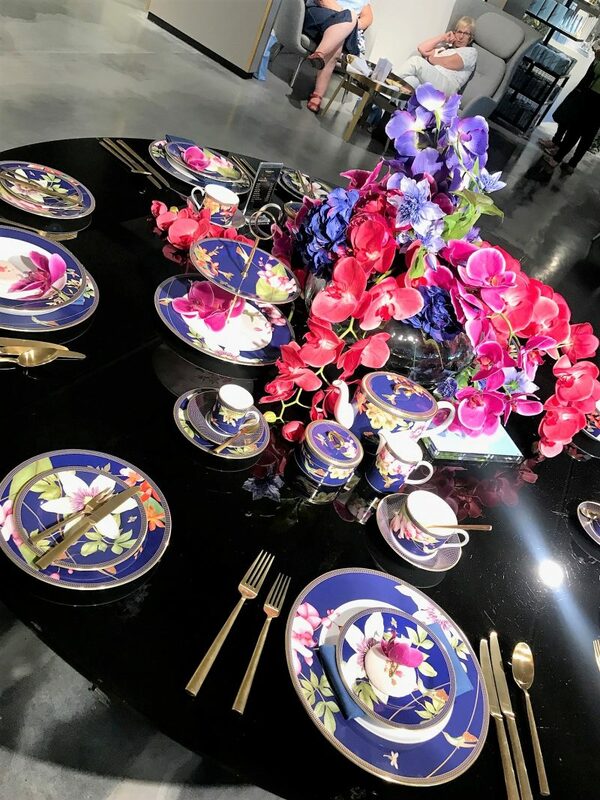 And of course, when the food and tea was served, it arrived in Wedgwood’s finest china. 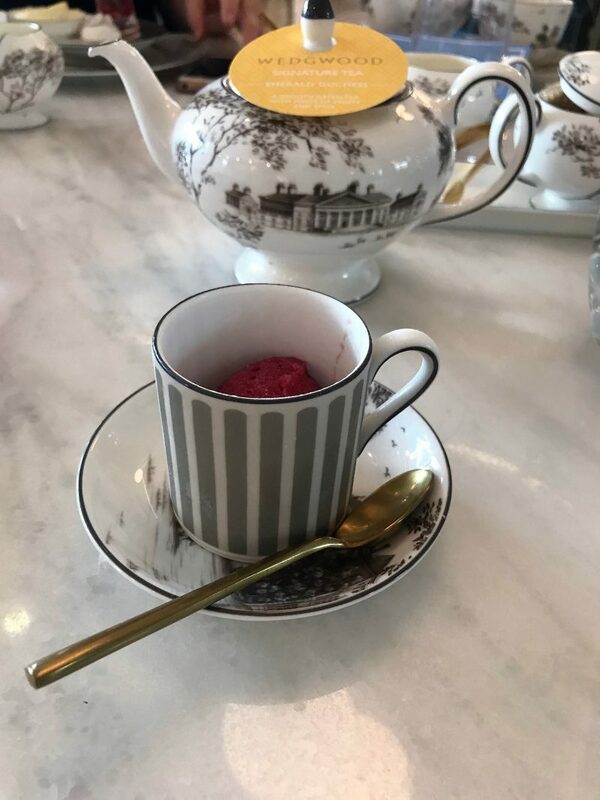 I found it a super cute little touch to offer up a fruit flavoured sorbet in-between the Afternoon Tea, to refresh the palette. 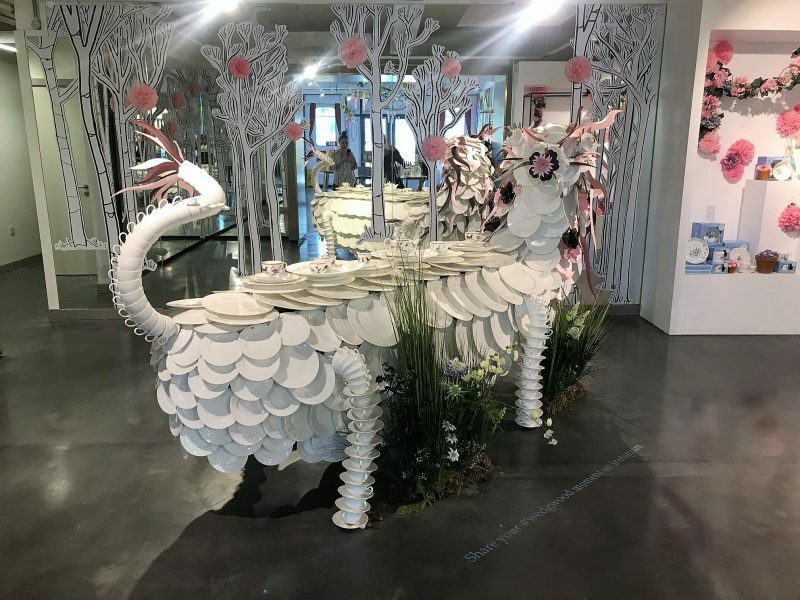 A nice unique touch you don’t get offered so often at other places I have dined at. 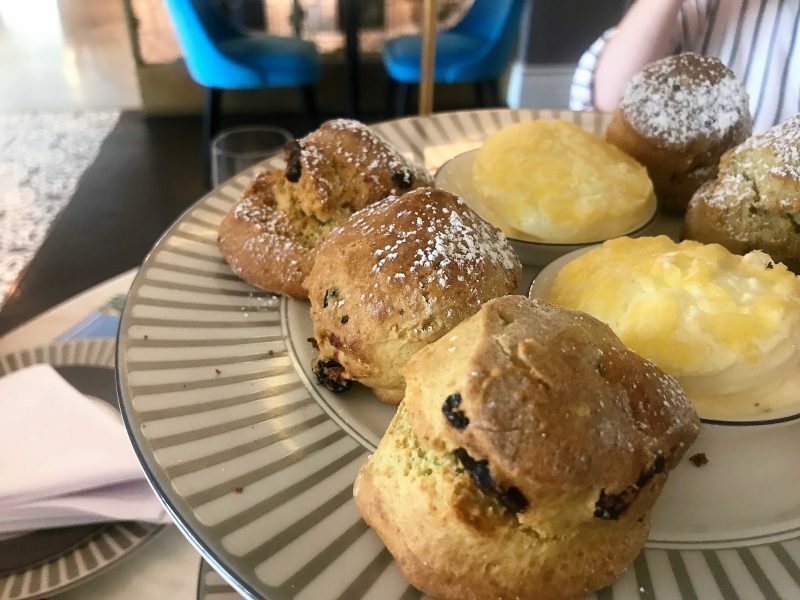 Wedgwood fruit scones with clotted cream and traditional preserves. 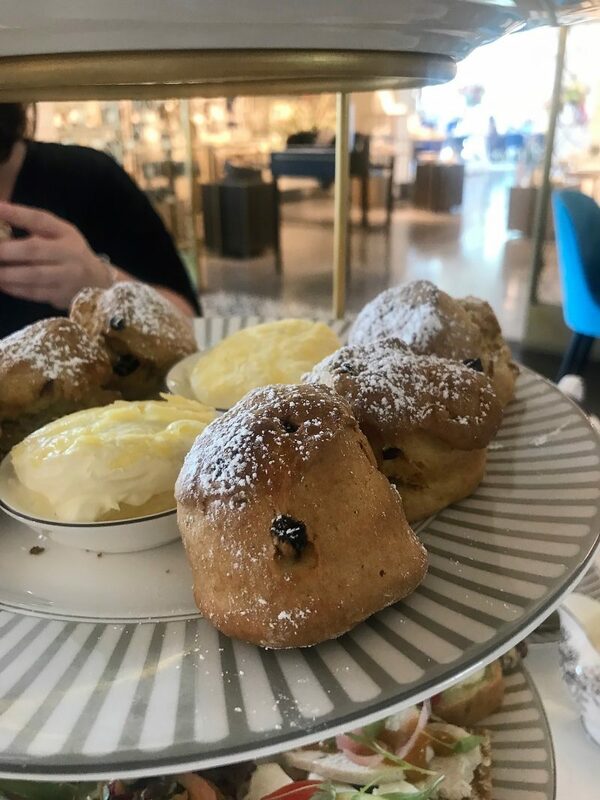 I’m a sucker for scones – I honestly thing I could demolish a plate all by myself. 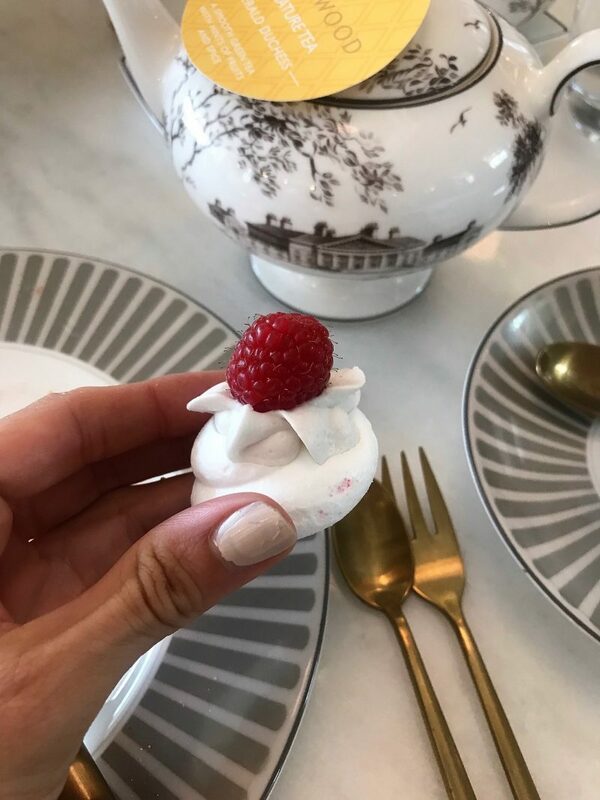 These were served up slightly warm, soft and fluffy, with the thickest and richest clotted cream to spread across. 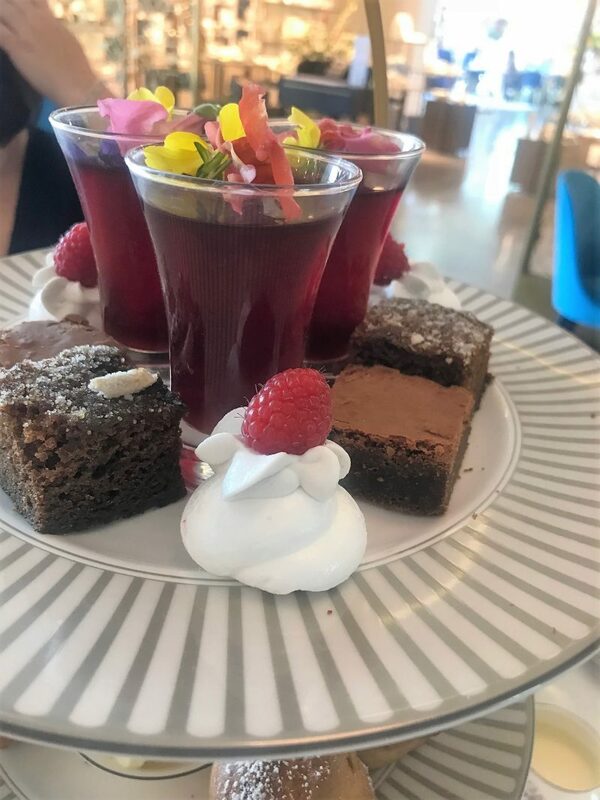 The cakes shown real diversity, and I have to say that my favourites were the Decadent dark chocolate brownie and the Ginger cake with candied ginger. Also, I have to add that the service was brilliant and couldn’t be faulted. 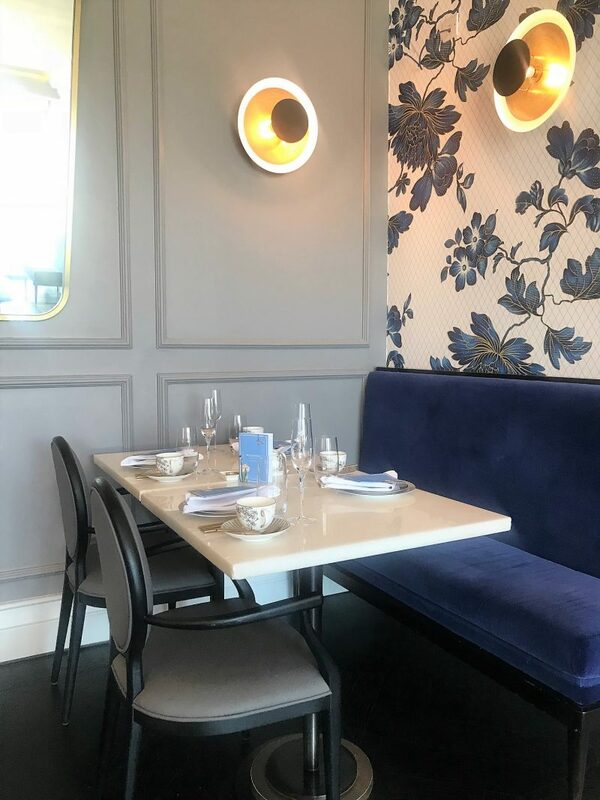 The waitress explained all the food that arrived, service was quick, helpful and attentive, and overall, a warm, welcoming vibe. After our Afternoon Tea session came the next exciting bit: pot throwing! 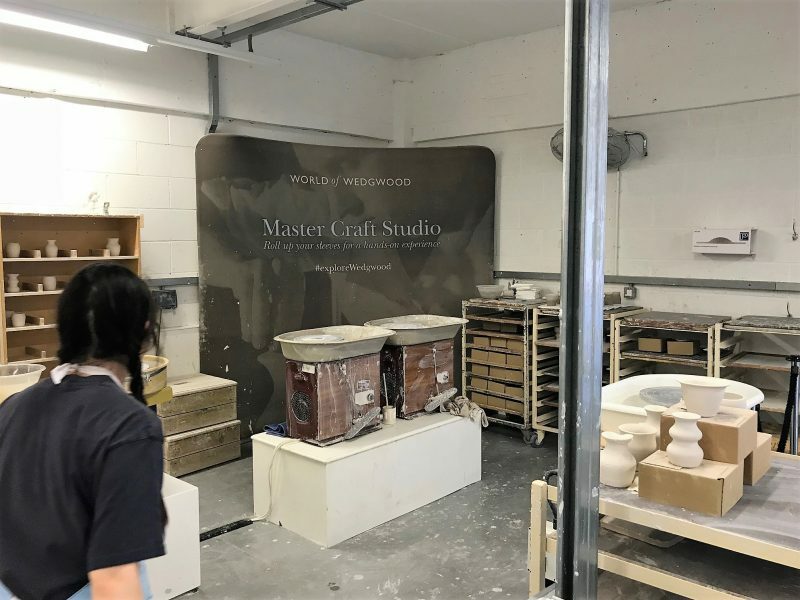 I have never took to the reigns with pottery making myself, and in all honesty, I was a little bit nervous that I would be useless. 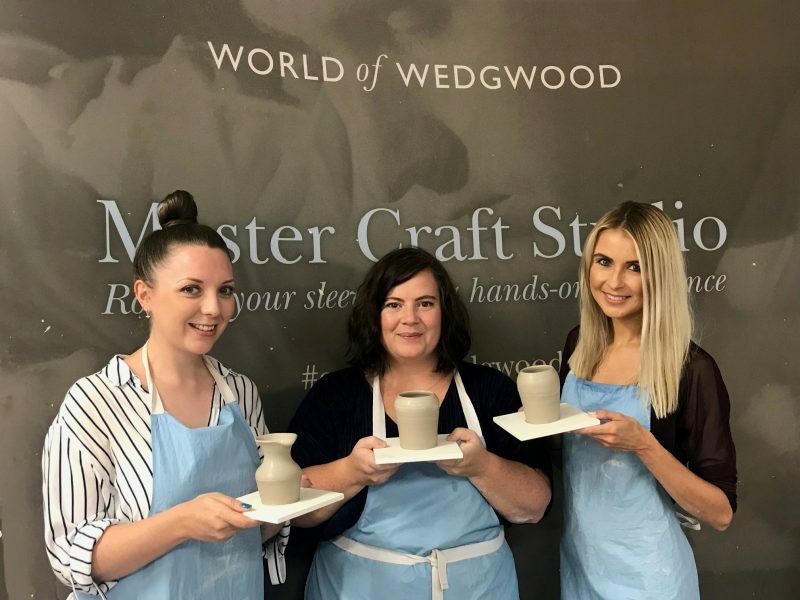 However, the lady who took the three of us in for our mini pottery class was exceptional – she really did show us everything we needed to know, and took us through the motions slowly. 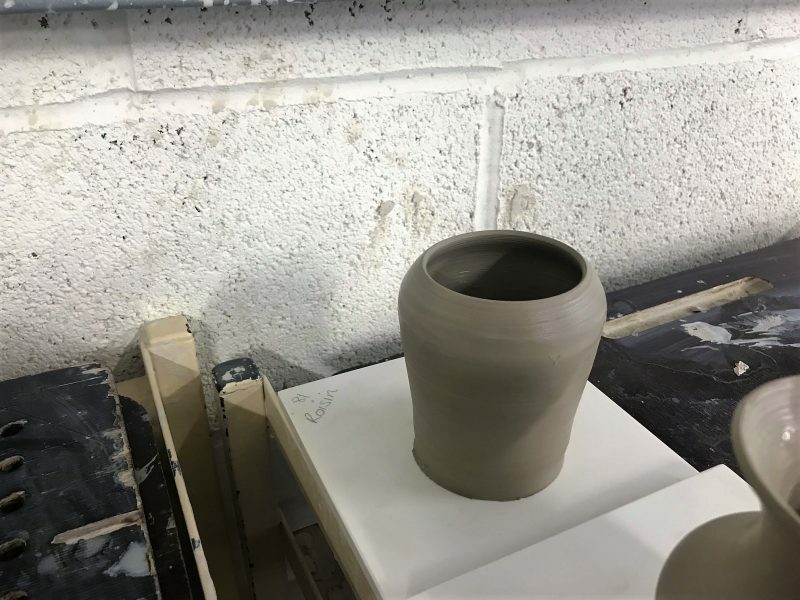 And after learning how to ‘properly’ shape, sculpt and mould our own pots (I’m not sure I’d have been so good on my own! 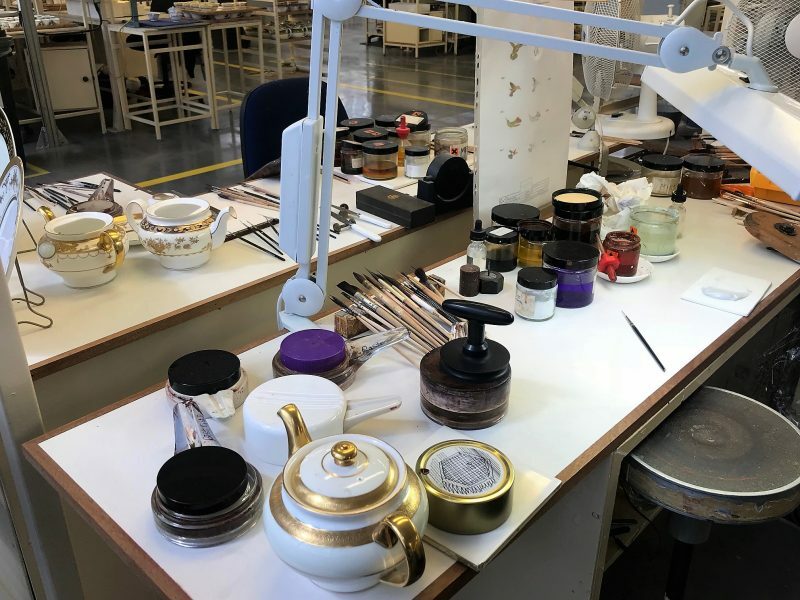 ), we got to put them aside and leave them to be baked and set, where Wedgwood then post the finished pot out to you. 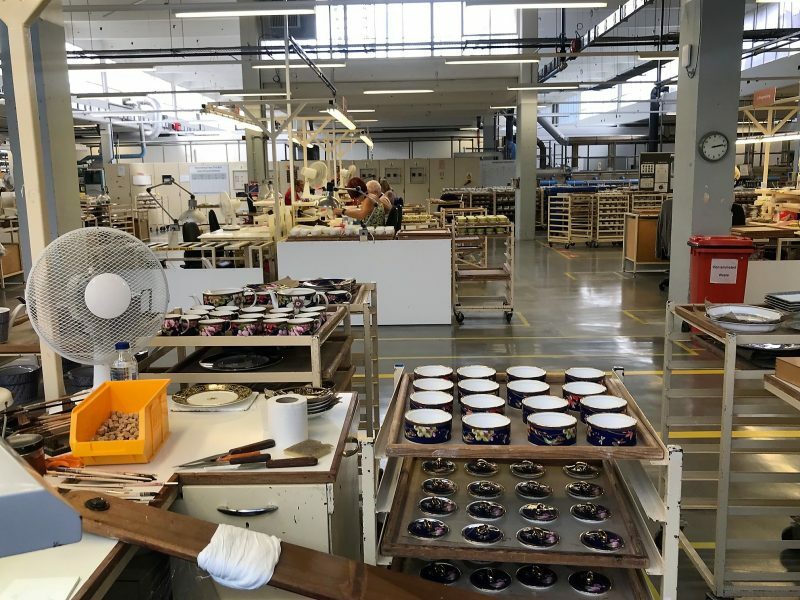 After our session, we were able to walk around the pottery factories, where it kind of felt like you were watching the pottery being made, painted and finished ‘live’. It was so refreshing to see it all in action. I was shocked at how big the place was and how many staff were painting from scratch by hand. 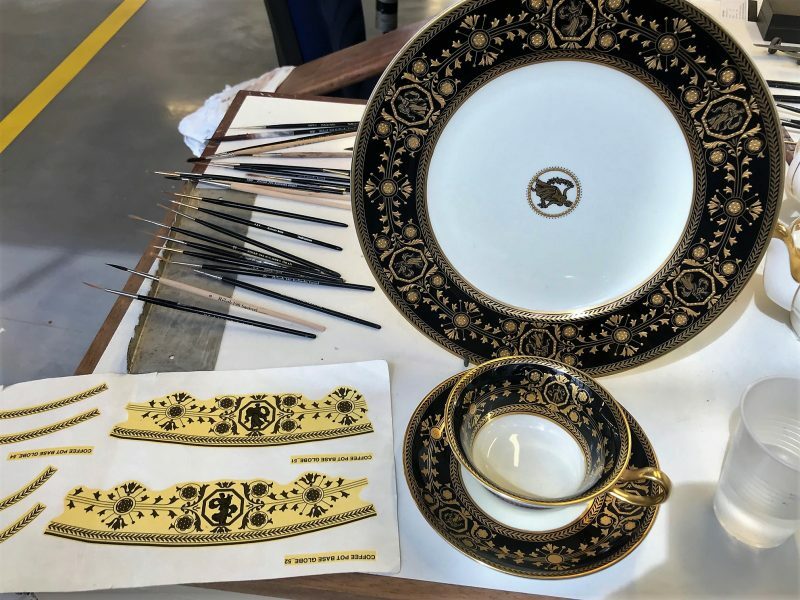 It just goes to show you the immense detail, fine artwork and skill that goes into the making of Wedgwood pottery. 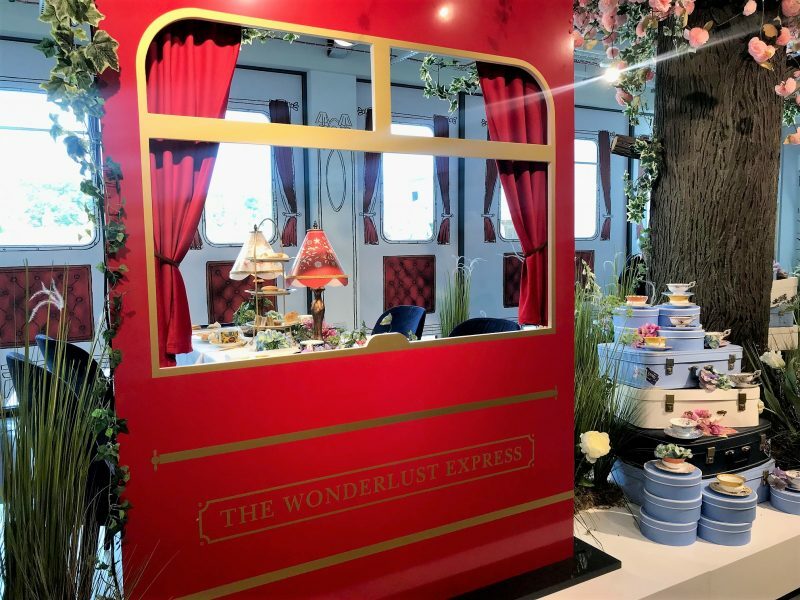 A fantastic day – I’d recommend it to anyone who wants a classy, fun and interesting day out with a unique twist. 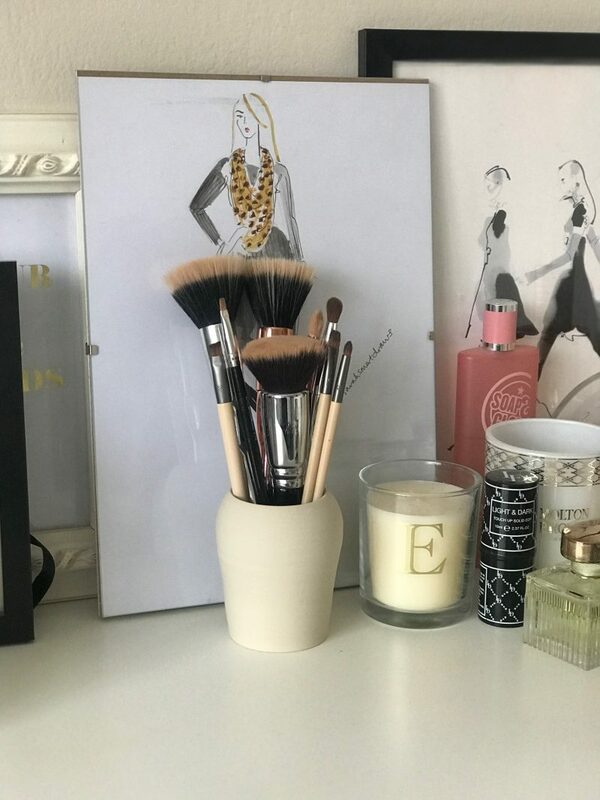 And here below you’ll find my own little pot which arrived last week, now being used to store my makeup brushes. 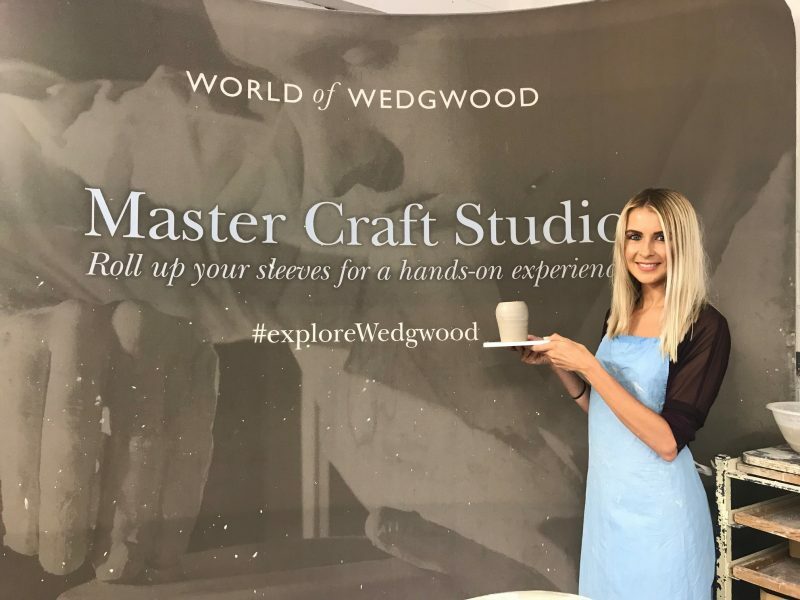 Thank you World of Wedgwood for the brilliant memories of a fab day out!